Twistix is full of interactive fun for your larger parrots. 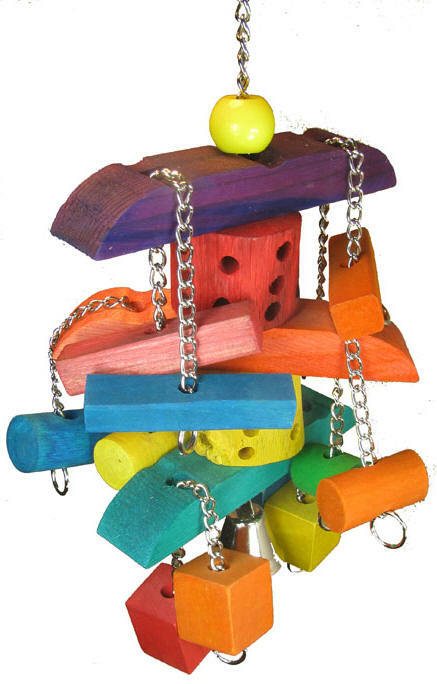 Each level of the Twistix has push/pull chain with colorful wooden pieces are each end. What Fun!! This toy is hung on heavy duty nickel plated welded chain for added to his durability, topped with a quick link for easy hanging and a fun liberty bell on the bottom for a ringing good time! Great toy larger sized beaks in your life!